Formerly HealthSouth, we are now Encompass Health. We remain dedicated to guiding each patient through recovery and are committed to changing their life for the better. 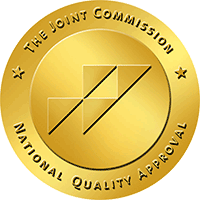 Our stroke rehabilitation program has earned Disease-Specific Care Certification from The Joint Commission. John joined Encompass Health Erie in November of 2014 after serving as chief executive officer for an acute care hospital in Pennsylvania for 14 years. John joined Encompass Erie formerly, HealthSouth Erie in November of 2014 after serving as chief executive officer for an acute care hospital in Pennsylvania for 14 years. He has more than 24 years of healthcare experience and brings administrative leadership and healthcare expertise to Encompass Health. John has a strong commitment to Northwest Pennsylvania where he has served on many boards of directors. He has a Bachelor's of Arts with a concentration in labor studies. He is a board-certified Diplomat Fellow of the American College of Health Care Executives and is certified in financial management from the University of Virginia's Darden Graduate School of Business Administration Executive Program. John and his wife, Janice are the proud parents of five children and two grandsons. Dr. Hickey is Board Certified in Physical Medicine and Rehabilitation by the ABPMR and serves as the physical medicine and rehabilitation (PMR) program director at Encompass Health Erie formerly, HealthSouth Erie. Dr. Hickey is Board Certified in Physical Medicine and Rehabilitation by the ABPMR and serves as the physical medicine and rehabilitation (PMR) program director at Encompass Health Erie, formerly HealthSouth Erie. Dr. Hickey is employed by Erie Physicians Network - UPMC (EPN) and is also on staff at UPMC Hamot as the trauma rehabilitation director. Dr. Hickey completed a physical medicine and rehabilitation residency program at the University of Pittsburgh Medical Center. While there, he served as the acting academic chief resident of the PMR residency program. Dr. Hickey completed his medical studies at Lake Erie College of Osteopathic Medicine. He also has an undergraduate degree in sports medicine from the University of Pittsburgh at Bradford. * The hospital provides access to independent physicians. Charli brings eight years of case management experience and nearly twenty years of nursing experience to Encompass Health Erie formerly, HealthSouth Erie. Charli brings eight years of case management experience and nearly twenty years of nursing experience to Encompass Health Erie, formerly HealthSouth Erie. Serving on multiple healthcare committees and in various nursing leadership roles at an acute care hospital, she is well versed in discharge planning and utilization review. Charli received her associate’s degree in nursing from Clarion University of Pennsylvania and obtained her bachelor’s degree in nursing from Chamberlain College of Nursing. Charli’s team plays a vital role educating patients and their family, including them in treatment plans to ensure a safe transition to their home setting. Bill joined the hospital in April 2006 as the director of plant operations. He achieved certification by the American Hospital Association as a Certified Health Care Facility Manager in December 2008. Bill joined the hospital in April 2006 as the director of plant operations. He achieved certification by the American Hospital Association as a Certified Health Care Facility Manager in December 2008. An Erie native, Bill previously served as an electronics instructor in the Air Force. Since his discharge in 1974, Bill has worked exclusively in healthcare maintenance, first in an acute care setting and then in long-term care prior to coming to Encompass Health, formerly HealthSouth. Tim joined Encompass Health Rehabilitation Hospital of Erie, formerly HealthSouth Rehabilitation Hospital of Erie in 2014 as director of pharmacy. Tim joined Encompass Health Rehabilitation Hospital of Erie, formerly HealthSouth Rehabilitation Hospital of Erie in 2014 as director of pharmacy. He brings more than 30 years of operational and clinical experience in acute care and long term care settings. He received his bachelor’s degree in pharmacy from the Philadelphia College of Pharmacy and Sciences in 1981. Dr. DeMatteis has been on staff at Encompass Health, formerly HealthSouth since 1986. He has served as the stroke/neurology program director at Encompass Health for the past 20 years and previously served as medical director. Dr. DeMatteis has been on staff at Encompass Health, formerly HealthSouth since 1986. He has served as the stroke/neurology program director at Encompass Health for the past 20 years and previously served as medical director. Dr. DeMatteis is on staff at UPMC Hamot Medical Center and maintains an outpatient practice at UPMC Northshore Neurology located at 120 East Second St. in Erie. Dr. DeMatteis attended medical school at the University of Miami, Florida and completed his residency training in internal medicine and neurology at the Cleveland Clinic. He has achieved board certification in internal medicine, neurology, electromyography (EMG) and vascular neurology and is a certified member of the American Society of Neurorehabilitation. Jeff was promoted to business development director in Sept. 2018. He started as the marketing liaison in Aug. 2017 and was promoted to senior marketing liaison in Jan. 2018. Jeff was promoted to business development director in Sept. 2018. He started as the marketing liaison in Aug. 2017 and was promoted to senior marketing liaison in Jan. 2018. Jeff earned his bachelor’s degree in marketing from the University of Pittsburgh in 2006 and an associate’s degree as a physical therapy assistant in 2013. He is a board member of the American Heart and Stroke Association of Erie, a member of the Civic and Community Engagement Committee and co-chair of Government Relations sub-committee of the Young Erie Professionals and a member of the American College of Healthcare Executives. Jeff is responsible for hospital inpatient census through the design and implementation of referral programs and customer service strategies. He oversees the inpatient admissions process and also manages, trains and develops a hospital-wide business development team. Jeff actively works to create an environment and culture that enables the hospital to fulfill its mission. Lori has served as the hospital's controller since 2005 and has been an employee of the hospital since 1991. Lori has served as the hospital's controller since 2005 and has been an employee of the hospital since 1991. A native of Erie, Lori earned her bachelor’s degree in accounting from Mercyhurst University in Erie, Pennsylvania. Dr. Grisier served as medical director at Encompass Health Rehabilitation of Erie, formerly HealthSouth Rehabilitation Hospital of Erie from 2016 to 2018. Dr. Grisier served as medical director at Encompass Health Rehabilitation Hospital of Erie, formerly HealthSouth Rehabilitation Hospital of Erie from 2016 to 2018. He has a longstanding relationship with Encompass Health Erie, including serving several terms as chair of the hospital’s Medical Executive Committee. Dr. Grisier is an assistant clinical professor of Family Medicine for LECOM Health and has educated residents and students for over 25 years. He maintains a private practice with Medical Associates of Erie at Plaza 18 Medical Center in Erie. An Erie native, Dr. Grisier is a graduate of Gannon University and the Philadelphia College of Osteopathic Medicine. He completed his residency at Millcreek Community Hospital. Douglas Grisier, D.O. is an independent private practice physician whose office is located at the hospital. Janet began her career at Encompass Health Rehabilitation Hospital, formerly HealthSouth Erie Rehabilitation Hospital in 2009 in the position of physical therapy manager. Janet began her career at Encompass Health Rehabilitation Hospital of Erie, formerly HealthSouth Erie Rehabilitation Hospital in 2009 in the position of physical therapy manager. In 2013, she was promoted to her current role as director of therapy operations. She brings more than 19 years of clinical experience in outpatient, skilled nursing, long term acute care, home health care and inpatient rehabilitation. She received her bachelor’s degree in physical therapy from Daemen College. Mary began serving in the capacity of director of quality in August 2010 bringing with her more than 20 years of experience in behavioral health. Mary began serving in the capacity of director of quality in August 2010 bringing with her more than 20 years of experience in behavioral health. She has assumed leadership of the hospital’s team effort to maintain existing and achieve new Disease-Specific certifications under The Joint Commission. Mary has served in a variety of roles including, staff nurse, assistant nurse manager, nurse manager and case manager in clinical areas such as neurology, neurosurgery, orthopedics and trauma. Prior to joining Encompass Health, formerly HealthSouth, she worked in Utilization Review. Mary earned a bachelor’s degree in nursing from Gannon University. Lindsay began her career at Encompass Health Erie, formerly HealthSouth Erie in 2012 as the Human Resources Assistant. Lindsay began her career at Encompass Health, formerly HealthSouth Erie in 2012 as the Human Resources Assistant. She was promoted to director of human resources in November 2015. Lindsay brings more than ten years of experience in human resources to her role. Lindsay holds a bachelor’s degree in psychology – human resources from Westminster College. As the human resources director, Lindsay is responsible for the day to day employee relations of approximately 185 employees. Kimberly was promoted to chief nursing officer (CNO) in March 2017. Kim began her nursing career eleven years ago at Encompass Health, formerly HealthSouth. Kimberly was promoted to chief nursing officer (CNO) in March 2017. Kim began her nursing career eleven years ago at Encompass Health,formerly HealthSouth. She went on to work in home health and labor and delivery. She returned to HealthSouth Erie in 2013 and served as a weekend nursing supervisor and nurse manager prior to being promoted to CNO. Kim holds a Bachelor of Art degree in speech-language pathology from the University of South Florida as well as a Bachelor of Science degree in nursing from Daemen College.